Heikal Rosnan is an analyst with BowerGroupAsia’s Malaysia office. He has a strong background in linking Malaysian government initiatives and policies with the corporate world. 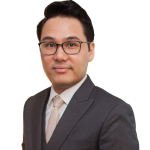 Heikal joined BGA after working at a leading Malaysian corporation, which owns a group of companies operating in the manufacturing sector. Here, he led business development activities, focusing on strategic blueprints and cultivating partnerships for new business ventures. Additionally, he was involved in several corporate projects to separate the pharmaceutical division from the group and enable it to focus on a more robust growth strategy. Prior to that, Heikal was a special assistant to a member of Parliament. In this role, he worked with public and private, international and local stakeholders to develop the constituency into a new regional oil and gas hub. Heikal covered a wide range of areas including healthcare, chemicals, pharmaceuticals, polymers and politics. Heikal holds a master’s degree in advanced chemical engineering from The University of Birmingham in the United Kingdom.